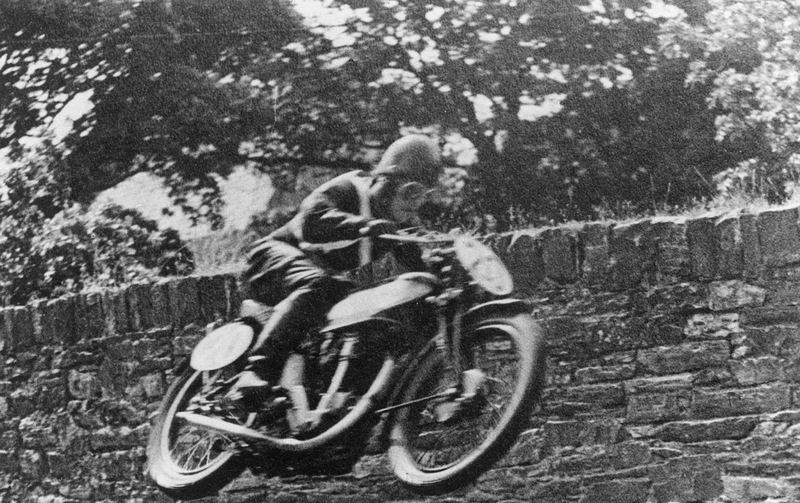 -Dennis- I knew a chap, Alan Schafer, who as a young man in the mid 1930's wrote prolifically to British Motorcycle factories and riders requesting photos etc. His father then ran a motorcycle and bicycle shop in the town of Grafton, Alan later ran it as a bicycle and sports store. 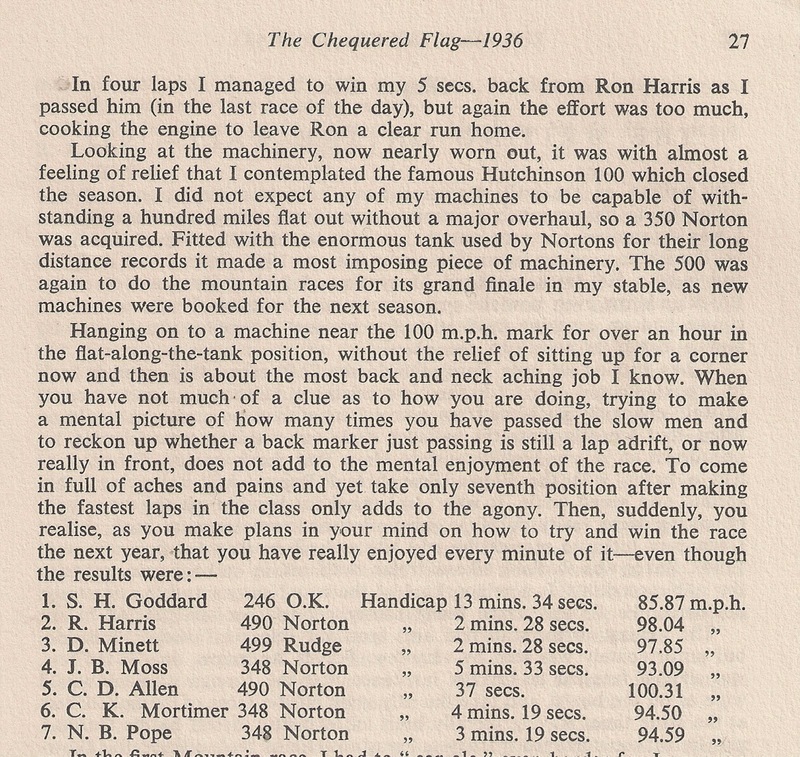 I've all Alan's archive and periodically trawl through it. He gave it to me in the early 1990's before he died. 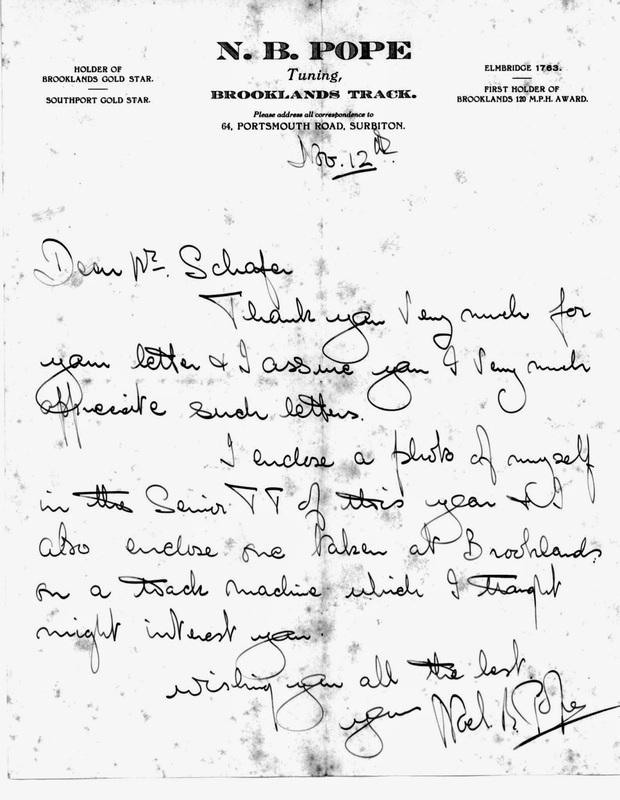 Above are two photos of Noel Pope and a letter from him to Alan. 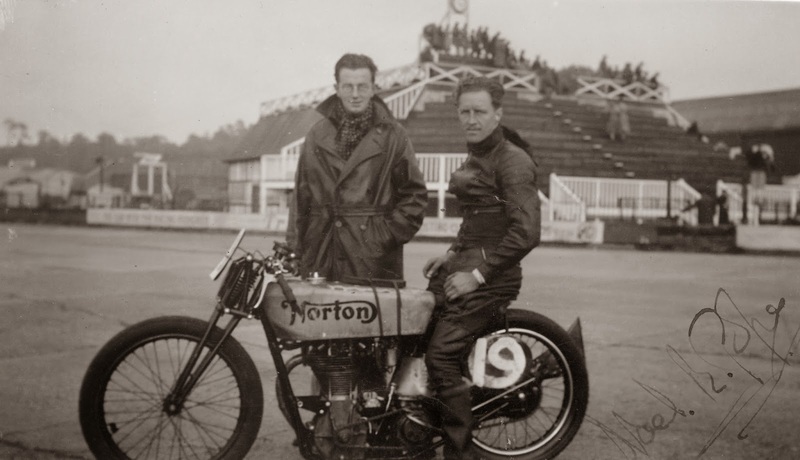 The track Norton is at Brooklands in 1936 and the racing shot is him on his Senior TT Norton #20 during the 1936 Senior IoM TT ... he finished 5th.